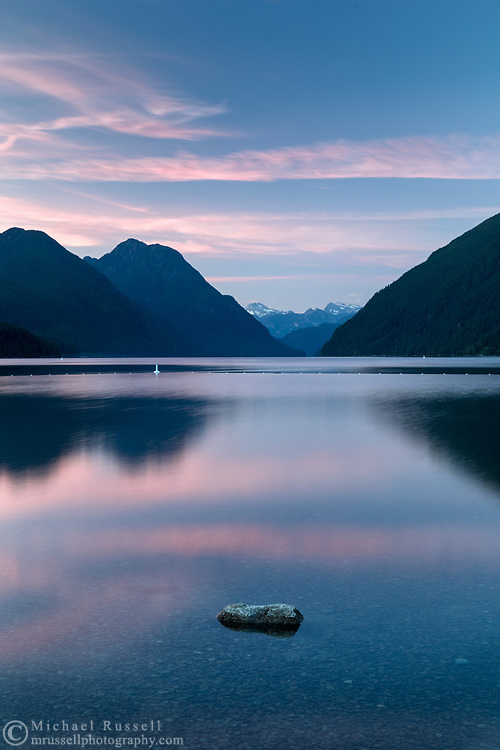 Sunset at Alouette Lake on a summer evening. Mountains in the background include Mount Nutt (left), Mount Gatey, Mount Clarke and Mount Ratney (back, right). Photographed on the beach at Alouette lake in Golden Ears Provincial Park - Maple Ridge, British Columbia, Canada.